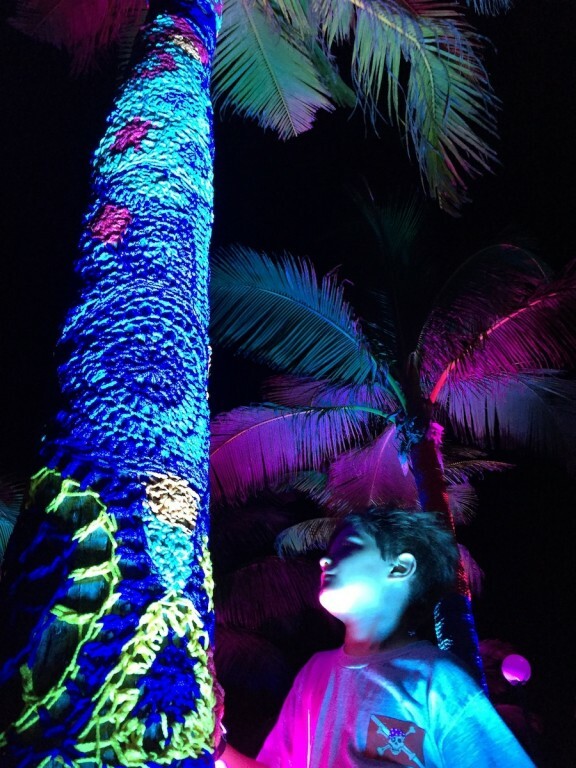 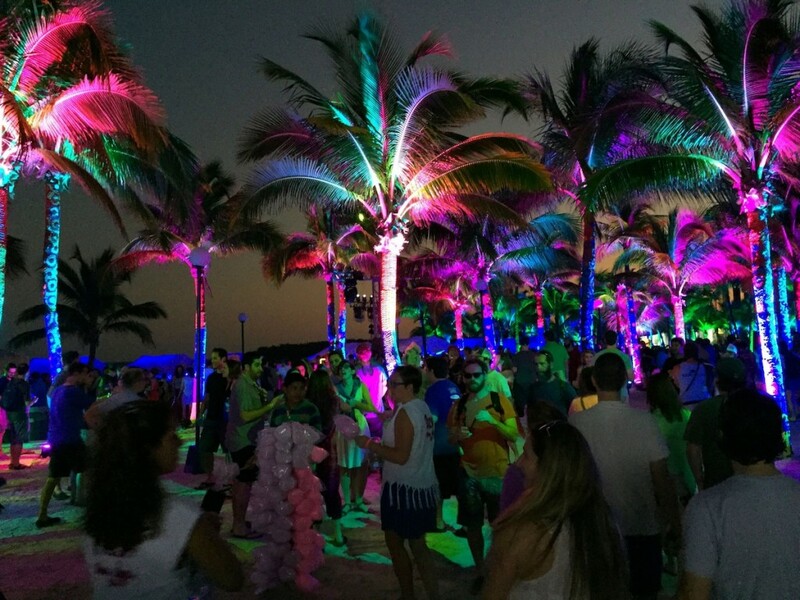 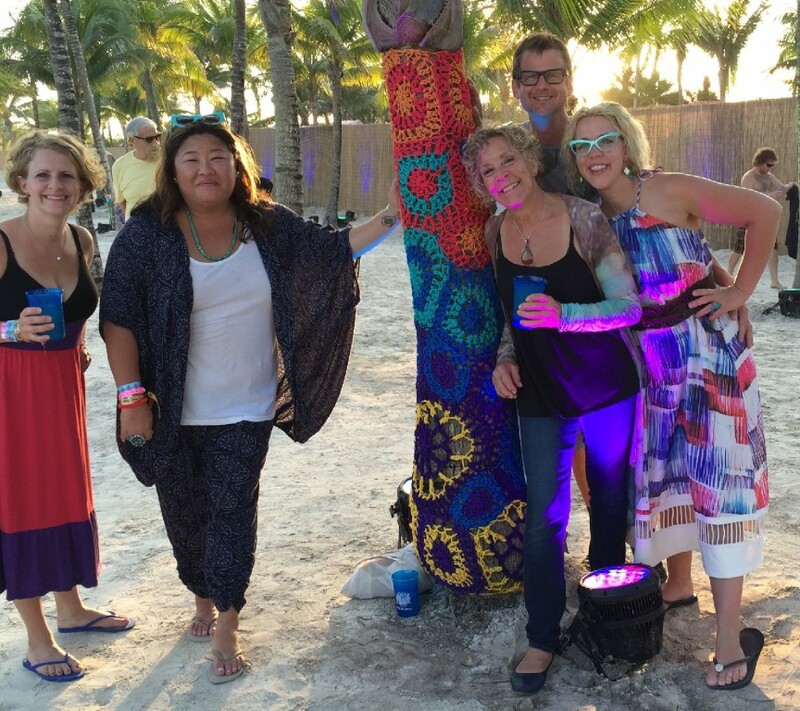 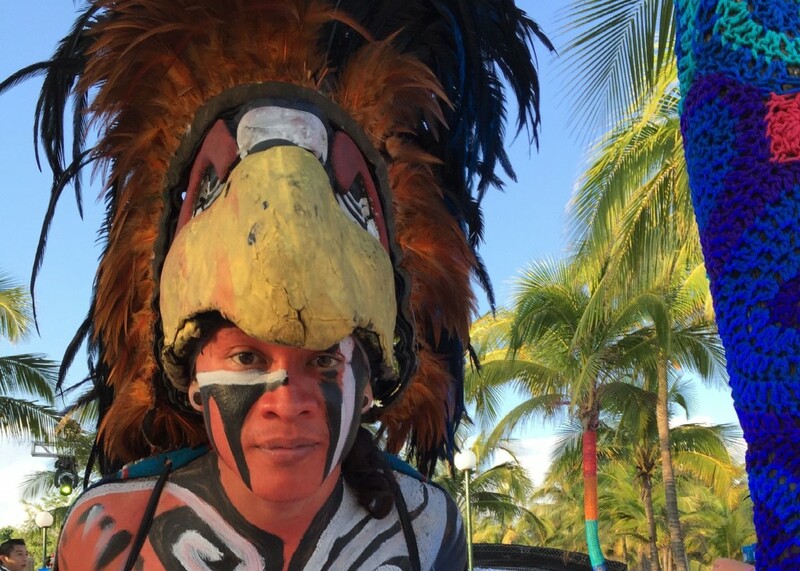 The Phish Riviera Maya piece is a multi-media art installation of sculpture, light and music created for a 3-day concert event in Playa del Carmen, Mexico. 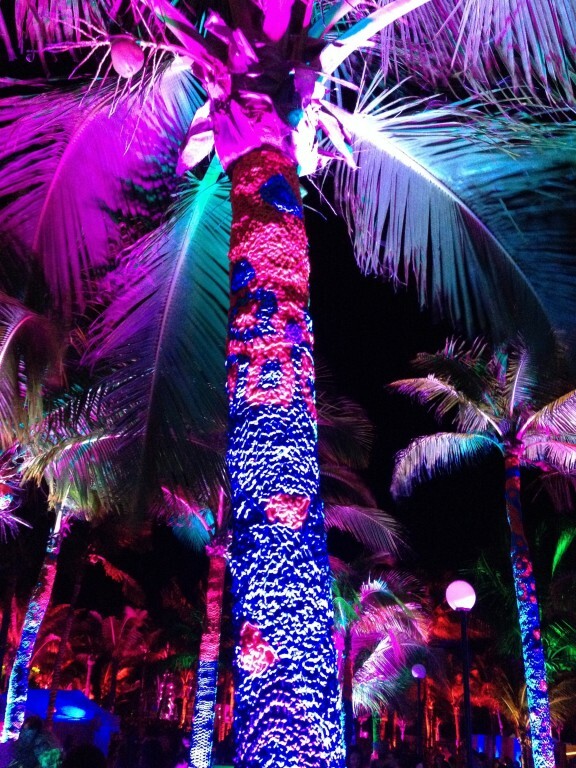 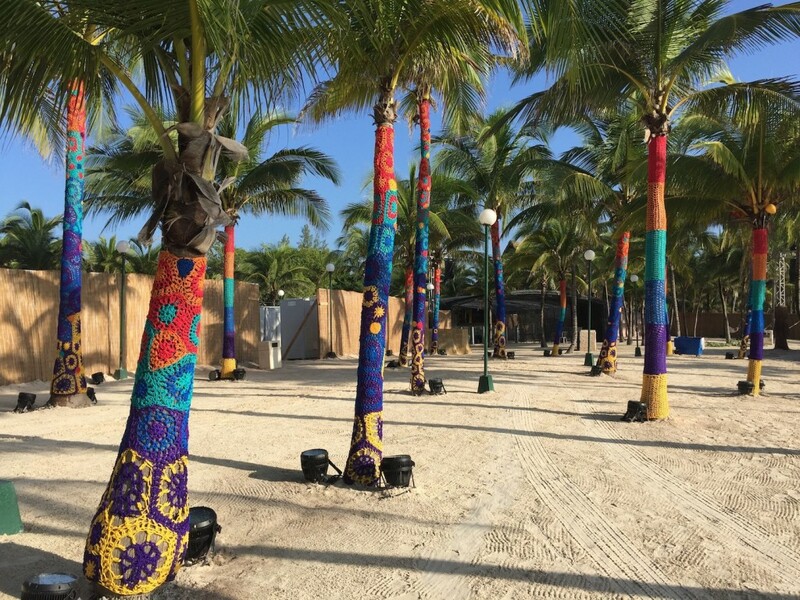 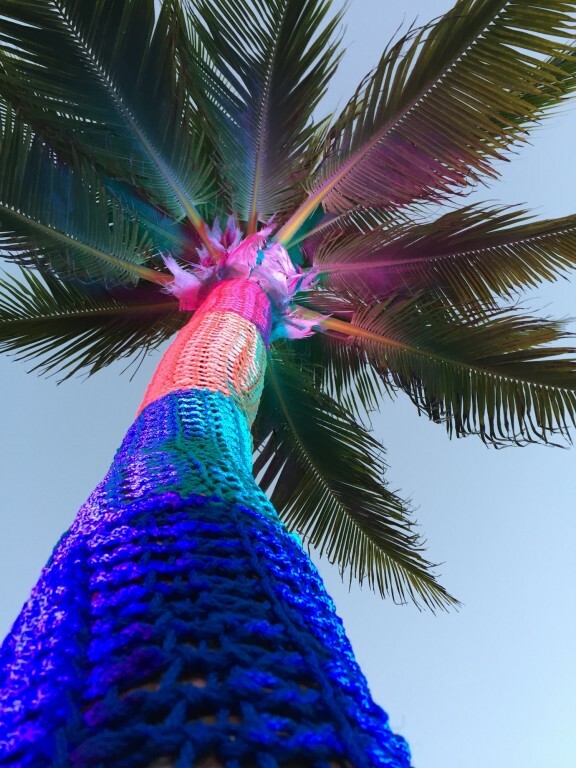 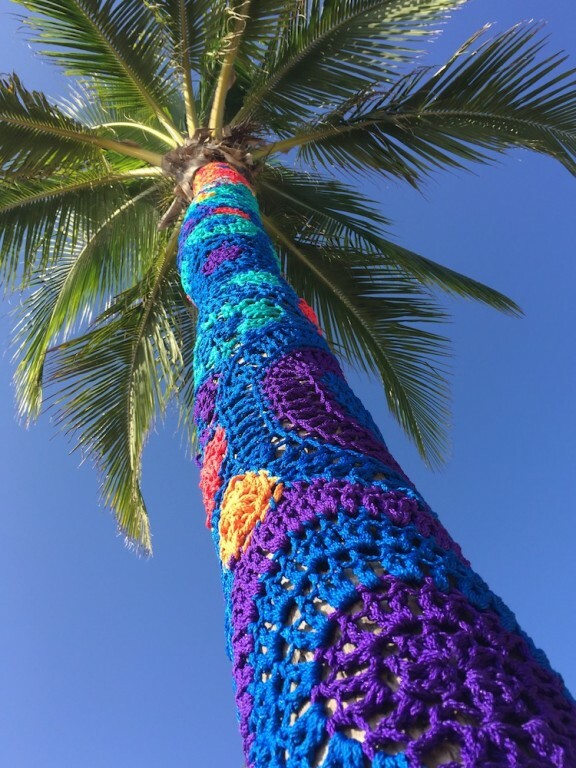 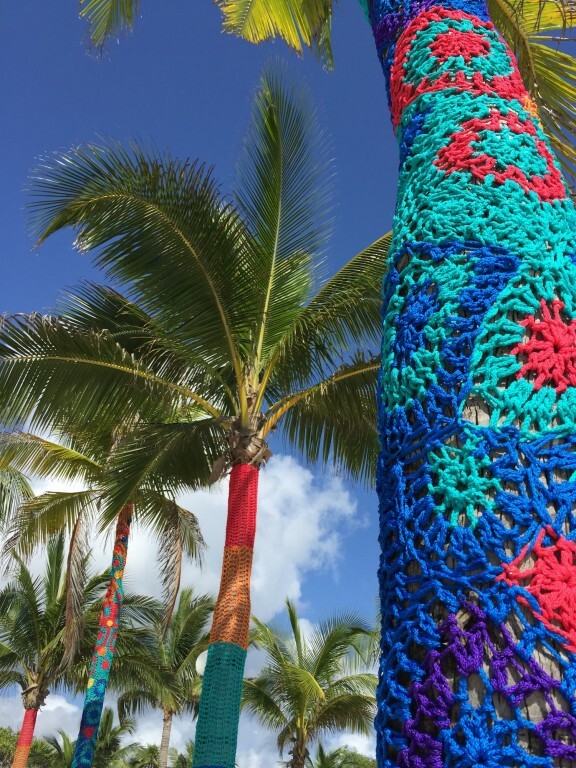 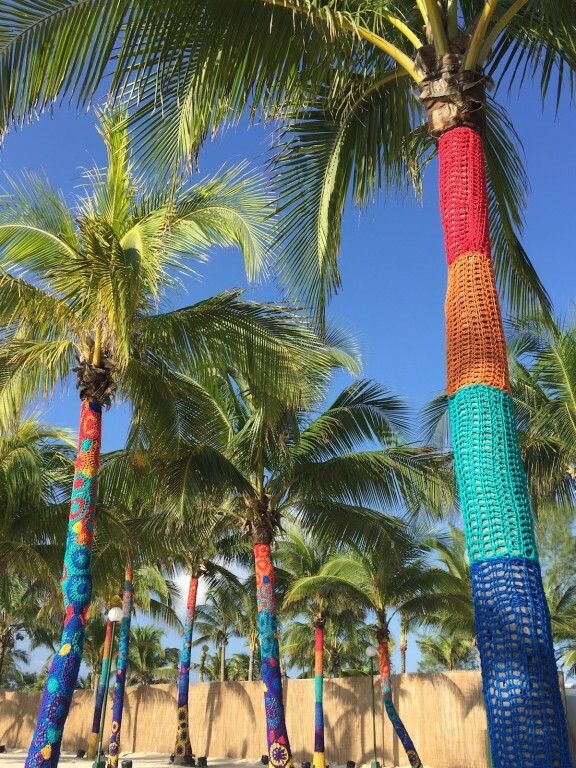 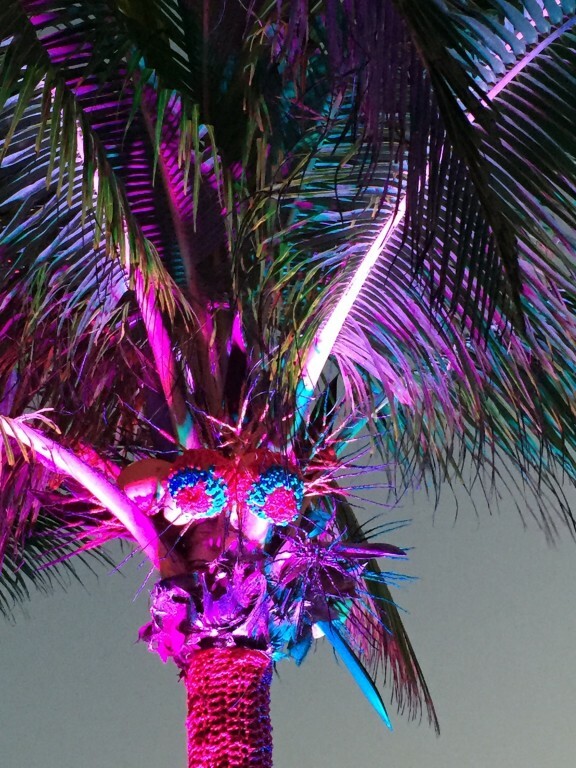 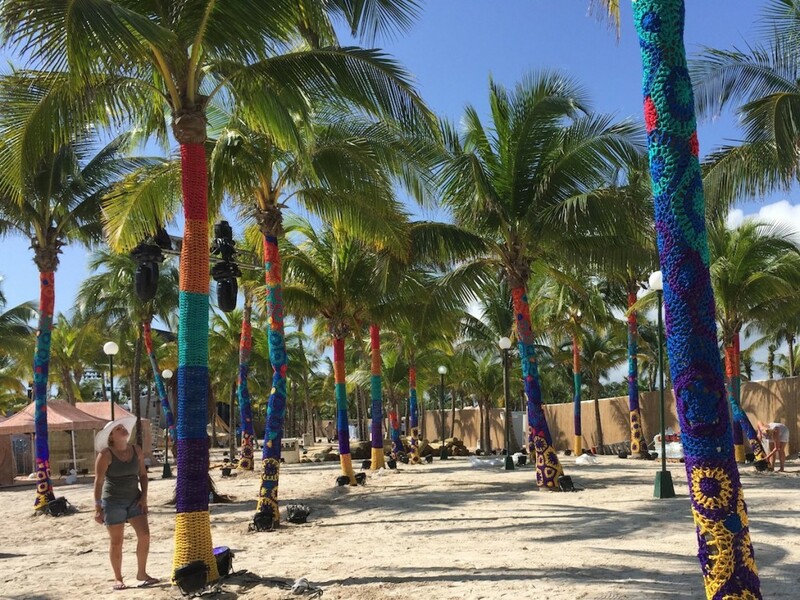 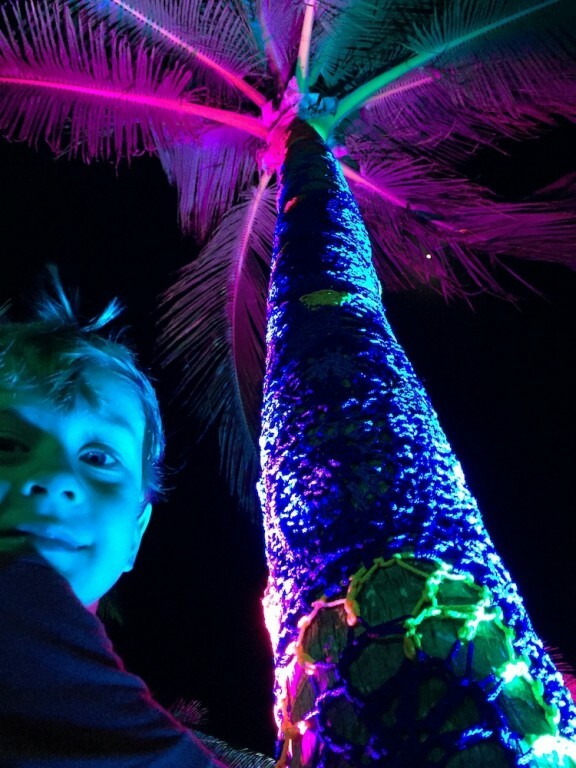 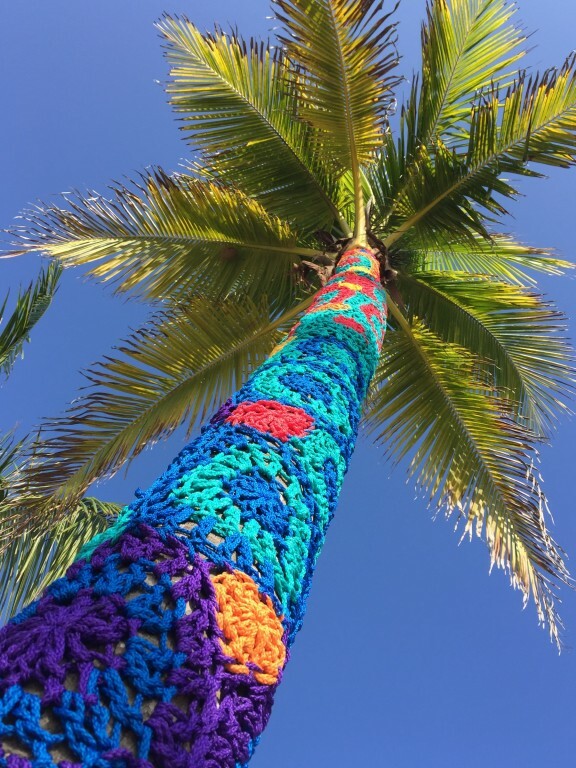 20 palm trees were covered with brightly colored crochet in circular and striped patterns energizing and enhancing the concert's beachfront venue. 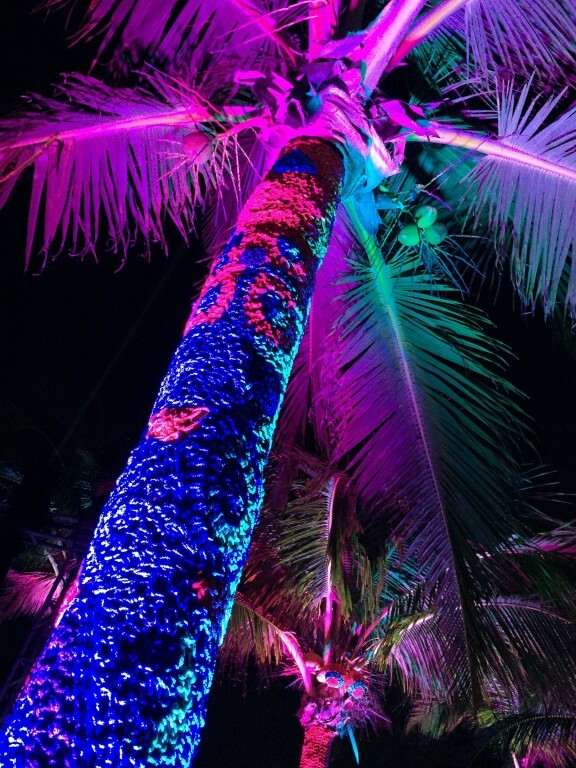 As the sun set, lights coordinated with the music of Phish's live performance, transforming the trees into living, swaying performers interacting with the crowds, colors, and sound. 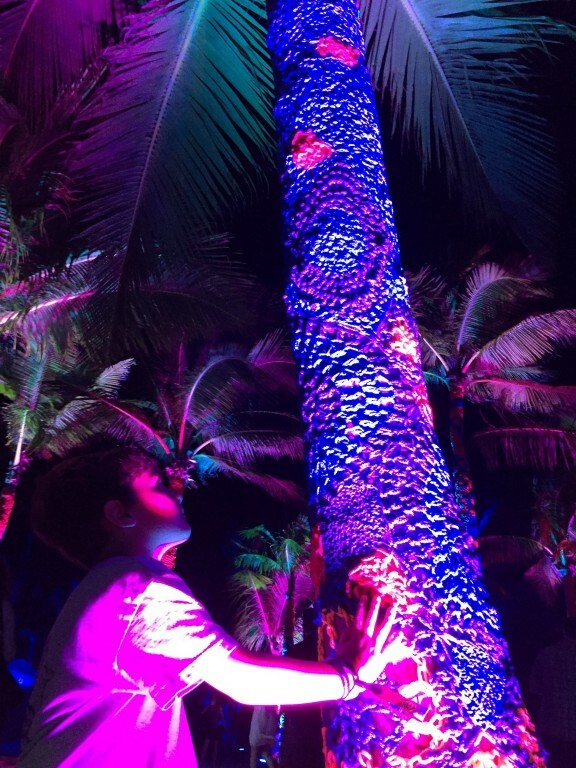 A true multimedia extravaganza!